Those of us who are unphased by the actual football part of the Super Bowl prefer to look forward to the halftime show performances. Every year showcases an insanely famous musical artist or even multiple if we’re lucky. Past performances have included the likes of Prince, Paul McCartney, Beyonce, and Justin Timberlake to name a few. 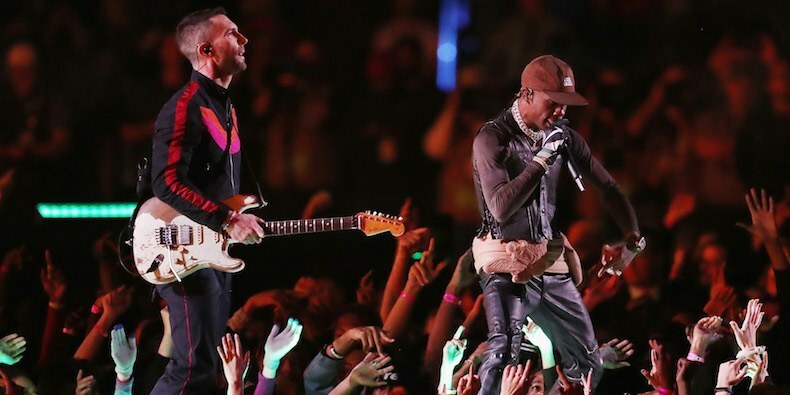 This year, the 53rd annual Pepsi halftime show featured Maroon 5 with guest appearances by Travis Scott and Big Boi. While it seemed like a solid lineup, fans were less than impressed with the performance and took to Twitter to mercilessly roast Maroon 5. Adam Levine's dead eyes make me think someone is backstage with a cattle prod forcing him to do this???? ADAM BLINK TWICE IF YOU NEED HELP! That halftime show sounded like the playlist at Chili’s. I don’t want to spoil the ending of the halftime show but whatever: Adam Levine throws a handful of CVS gift cards at the crowd. I know nothing about Maroon 5, but I did recognize that last song because I have often been to Walgreens. Viewers were also very unhappy that the clip of Spongebob’s “Sweet Victory”, an ode to Stephen Hillenburg’s recent passing, was only played for a few short seconds. We can only hope 2020 will be a better Super Bowl year.